While not everyone needs or enjoys the Berlingo, the truth is that it has always been a huge success ever since they made its first debut. However, sometimes, automakers just need to make changes to keep themselves at the top. And this is exactly what happened with the 2018 Citroën Berlingo Multispace. After all, if you’re wondering about what’s new about the 2018 Citroën Berlingo Multispace, we can say that everything is new. From the exterior to the interior, the powertrains, the features, everything you can imagine. 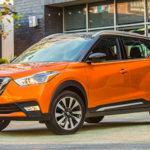 Take a look at the best SUVs for 2019. 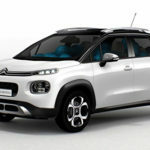 The 2018 Citroën Berlingo debut is scheduled for the Geneva Motor Show that will occur later this year. The market launch will occur still during 2018, more specifically during the second half of the year. 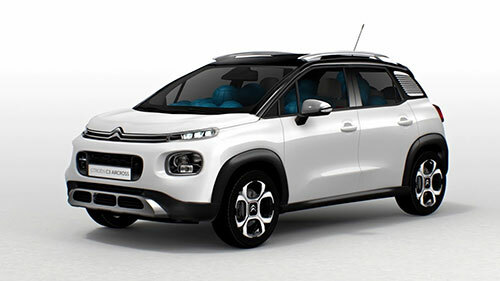 The truth is that there is no significant change in the price of the new 2018 Citroën Berlingo when compared with the current generation. The 2018 Citroën Berlingo will now use a new platform from the PSA Group’s EMP2. This will make the Berlingo go shorter in size but higher, and it should also feature a more forward-set windscreen. Just like some of the most recent Citroen models, the 2018 Citroën Berlingo should also get air bumps at the bottom of the doors. Besides providing a better protection, they also offer a more rugged look. 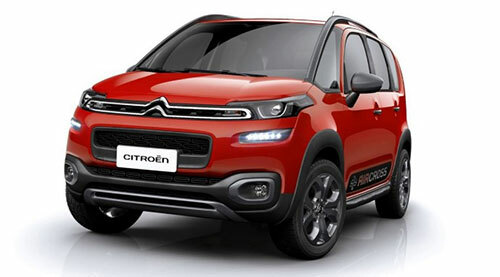 If you take a look at the front of the 2018 Citroën Berlingo, you’ll see a new front that is very similar to the C3 Aircross SUV front. In terms of the back, this is unique but more conventional as well. 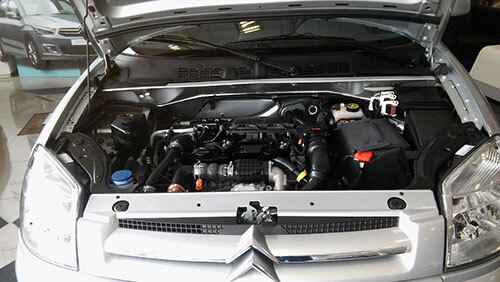 Under the hood, the 2018 Citroën Berlingo Multispace comes with two different engines. 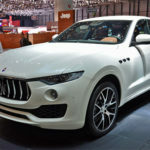 You can either choose to have a 1.2-liter gasoline engine which is able to produce 110 and 130 of horsepower or to have the 1.5-liter diesel engine that is capable of producing 75, 100, or 130 of horsepower. Depending on the engine that you choose, the 2018 Citroën Berlingo Multispace will either come with a six-speed manual transmission or with an eight-speed automatic gearbox. 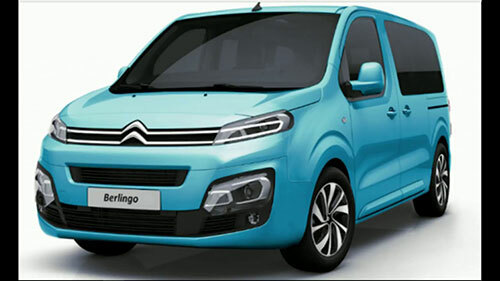 As you are probably expecting, the 2018 Citroën Berlingo Multispace is available in multiple versions. You can choose between 2 sizes – the M with 4.4 meters long and the XL with 4.75 meters, and each one of them comes with either 5 or 7 seat configurations. No matter the size or the number of seats you choose, you can still count with the 2018 Citroën Berlingo Multispace to be the best one of the entire segment in terms of cargo. 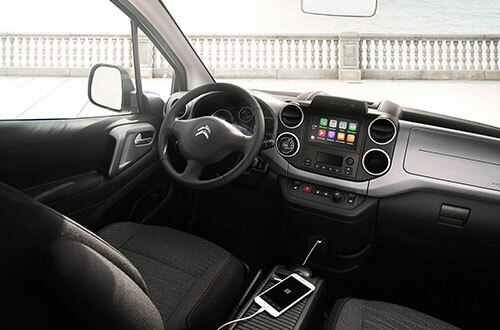 The truth is that when you need to buy a 2018 Citroën Berlingo Multispace, you’re probably more interested in terms of the features and systems that it includes than on the comfort or luxury inside the cabin. And this is exactly what you get with the new 2018 Citroën Berlingo Multispace. 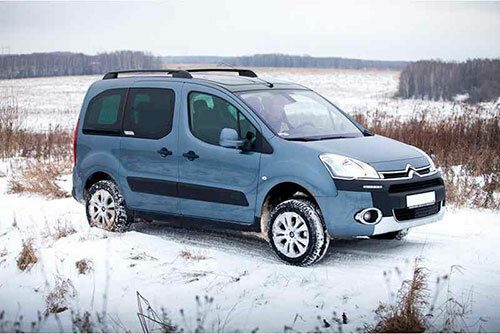 The 2018 Citroën Berlingo Multispace is well equipped in terms of safety. 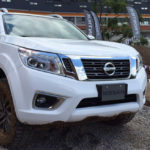 After all, it includes driver attention alert, active safety brake and post-collision safety brake, adaptive cruise control, traffic sign recognition system, blind spot monitoring, smart headlights, trailer stability control, hill start assist, among others. 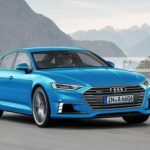 In terms of connectivity and entertainment, you can expect to get an 8-inch infotainment system that supports Apple CarPlay, Android Auto, and MirrorLink, wireless charging, grip control, and even a panoramic camera.